On the horizontal Simply Put card in the middle, I added some Sprinkles on the same color dots, and added a little title too! 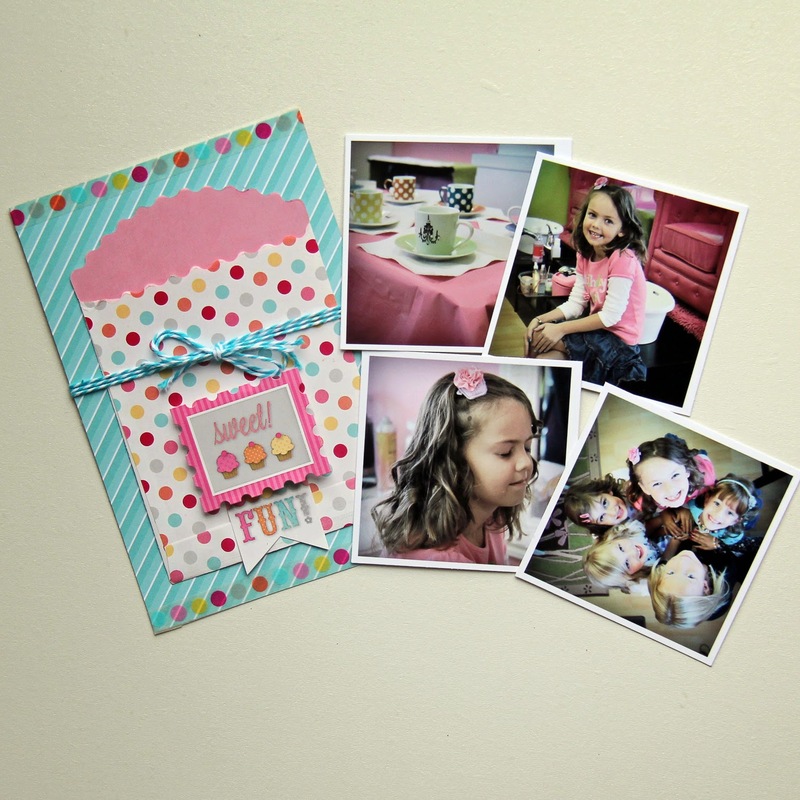 Do not be afraid of added some washi tape and stickers to your photos too for added detail! I used three Simply Put cards on this side! The calendar card, I added the date, but also decided that I should add an embellishment on top, so I added a sticker balloon from the icon sticker sheet and added a twine string to it! Lots of photos on here too! I added more balloon stickers and added some stickers to my photos to finish it up! 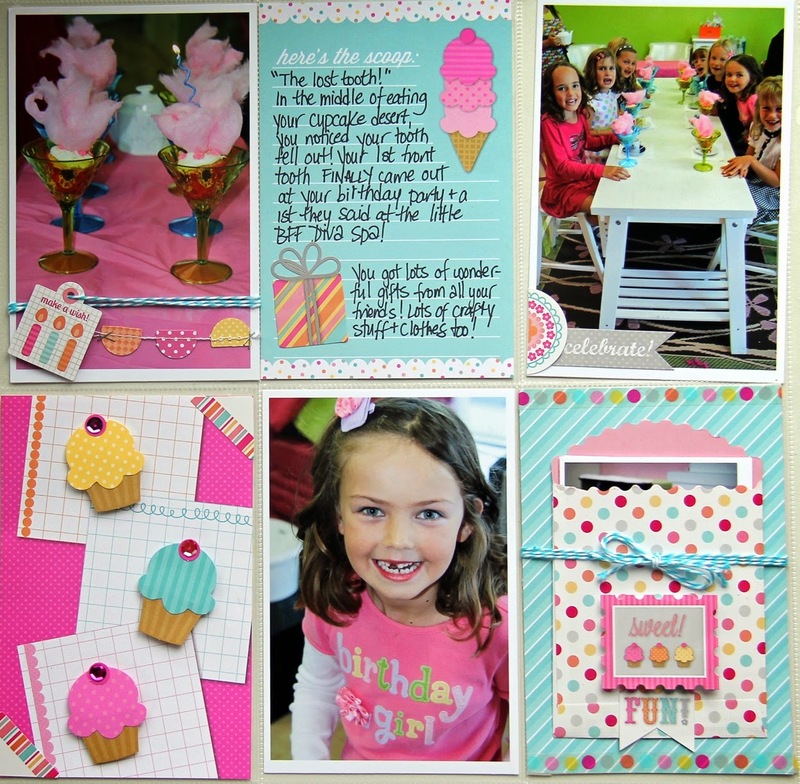 I hope you enjoyed my storybook pages! 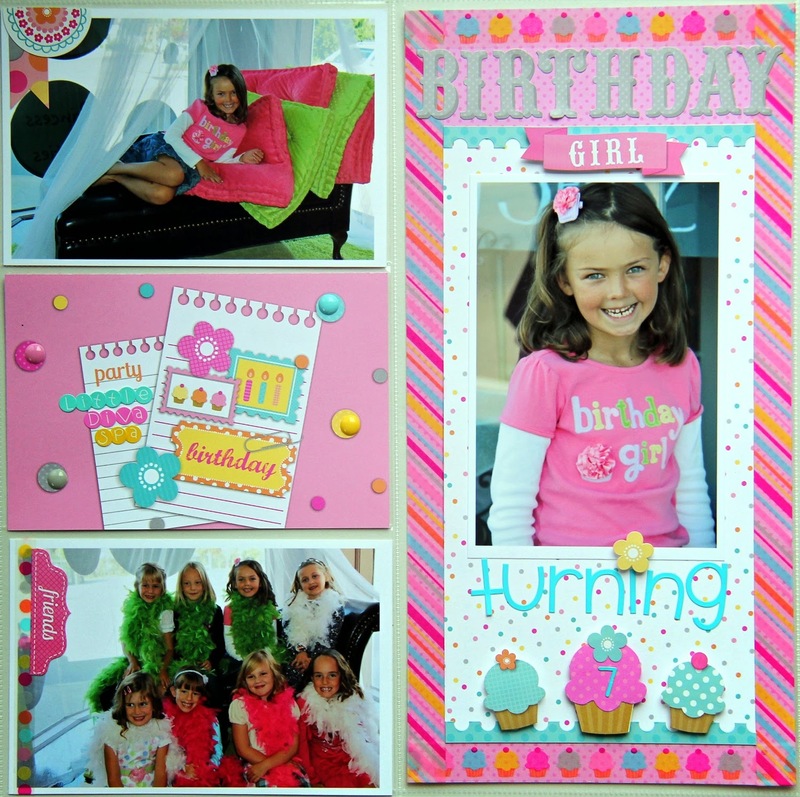 They were so much fun to create and this collection is perfect for any little girl (or big girl) birthday! the treat bags are some of my favorite from the latest collection. I love how you incorporated on these layouts. so adorable! pinned them all!!! So cute Jodi! These really came out fab! love the balloons and twine. What great additions. Love it!! Beautiful pages! I love all of the embellishments and details. I pinned. FABULOUS pair of double-pagers Jodi!!! 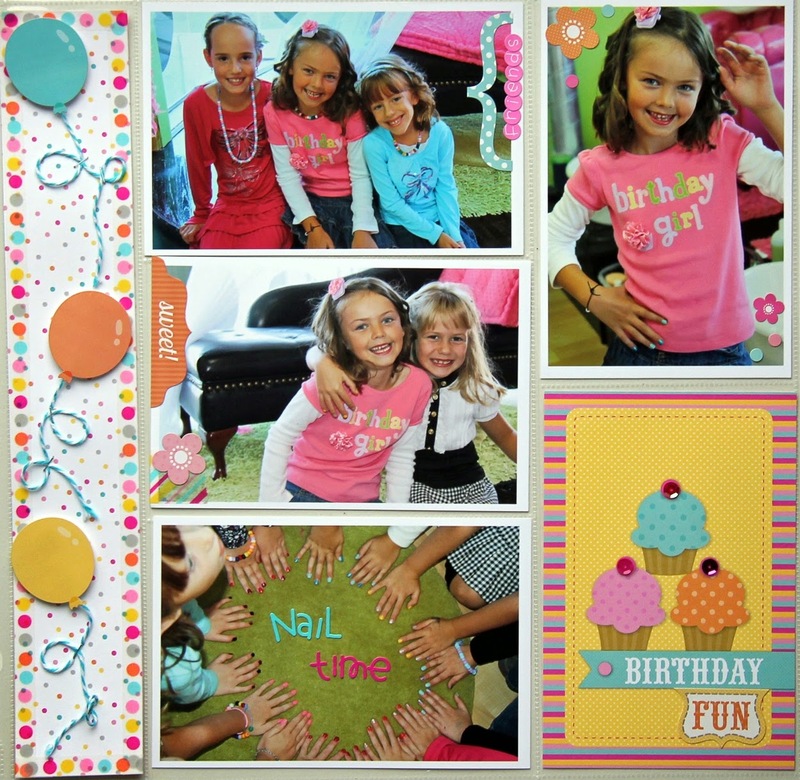 Your daughter's Little Spa Party looks like it was SO MUCH FUN!!! THANK YOU for sharing these pages, I'm STILL smiling, they make me feel HAPPY!!! 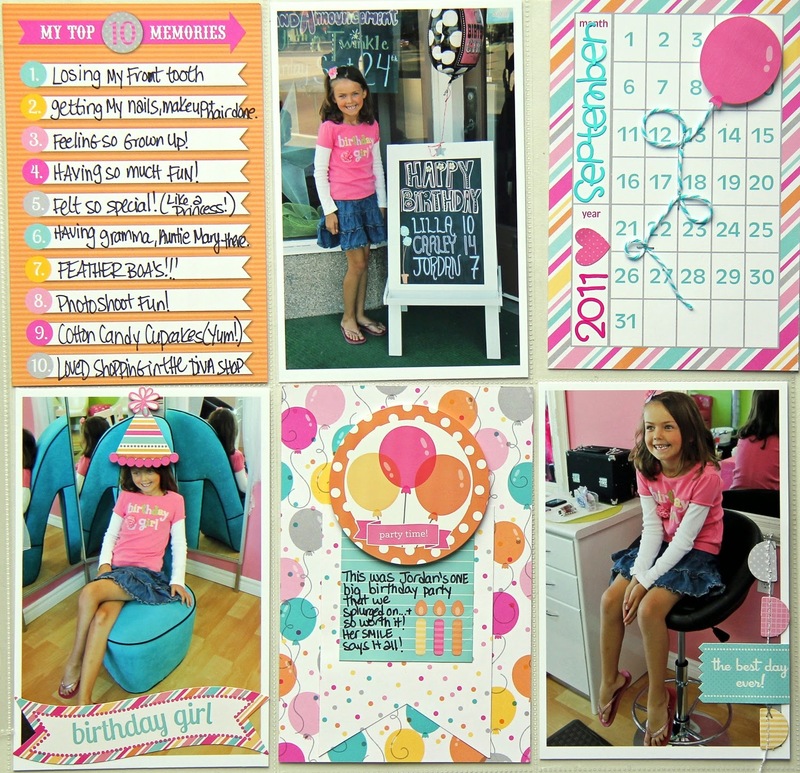 I pinned this full page pic from Jodi's 1st double-pager - LOVE that tall pocket and how she filled it!! !